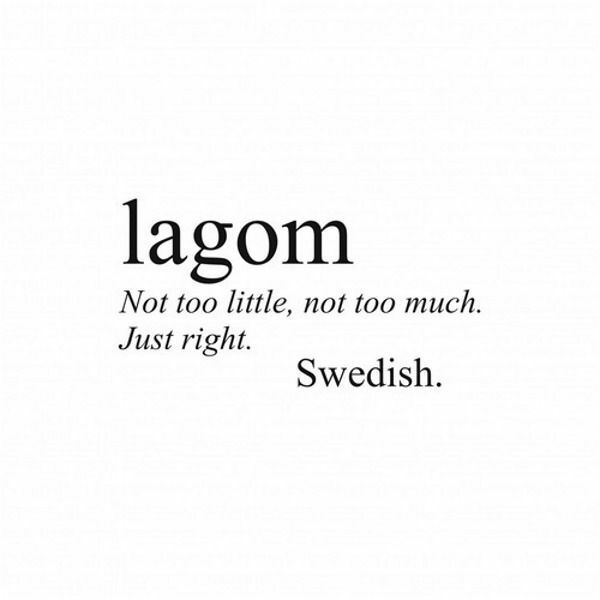 I think this Swedish word, lagom, sums it up as nicely as Goldilocks and the Three Bears. I’m working on shaving off all that unnecessary stuff, and cultivating a life that’s “just right”. This entry was posted on Thursday, July 9th, 2015 at 3:42 pm	and tagged with Homegrown, Just Right, Lagom, Seductive Vocabulary, Words to Live By, Wordy Thursday, Zac Brown Band and posted in The Seductive Power of a Decent Vocabulary, Words to Live By. You can follow any responses to this entry through the RSS 2.0 feed.